I am on a crafting budget. And by budget, I mean that money is tight right now and I have zero to spend on crafting and decorating. 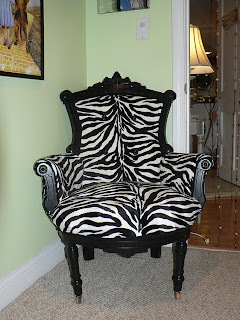 I have decided that I desperately need to give an old chair a new life. I have been scouring my local Craigslist's free section daily for a chair. I need something pretty and scrolly. I know that 'scrolly' is not a word, but I think that it conveys what I mean very well. 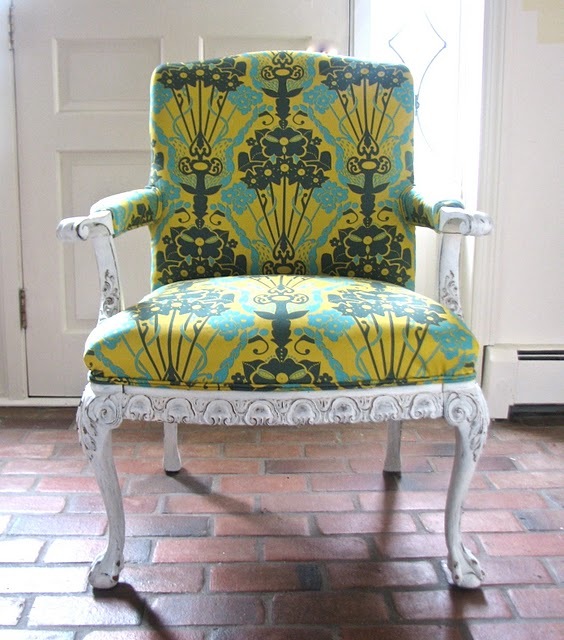 I haven't found my perfect chair to re-paint and re-upholster, but I have not given up hope. 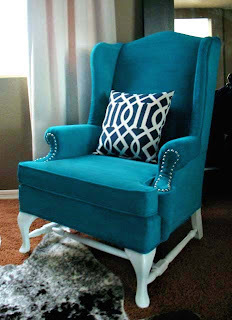 I will find that chair! This King Louis XV chair I saw over at Life + Style is bold as all hell with that chevron stripe. I'm really digging the fabric on this one, I love that color palette! Sarah at Three Boys did a fantastic job on this redo! I am in love with the bold yellow that Suzy from Joy Is At Home chose for this vanity seat. It's hard to believe that this is the same chair she started out with. I love splashes of bright color! 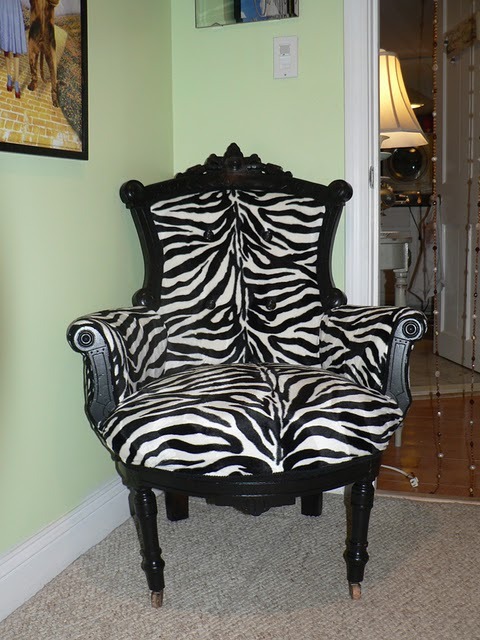 Look at the awesome shape of this zebra print number! I discovered this funky piece over at Miss Stitch A Wish's blog. I am in love with the color of this armchair over at Hyphen Interiors. Can you believe that she updated the look of this chair by painting the fabric? Gah! I can't wait until I find my chair. My crafty bone is itching! Aw thanks for mentioning my chair! I love the others, especially that first one!! Thanks for the mention, so sweet! I am a follower! Good luck finding your chair girl! 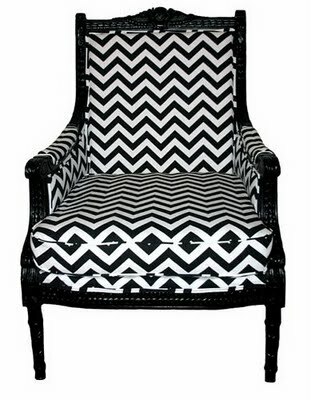 Oh my gosh what AWESOME chairs!! Thank you so much for the feature!! Thanks for taking the time to stop by and leave a comment, ladies! Oh my goodness how beautiful are all of these! I cannot decide which one is my fave!